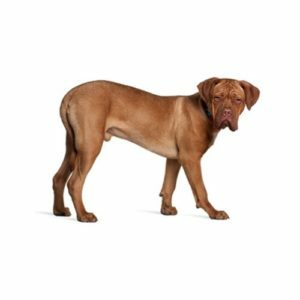 A powerful and muscular French Mastiff breed, the Dogue de Bordeaux is a molossoid (mastiff-type dog), “dogue” meaning Mastiff in French. A massive head and stocky body are trademarks of the breed. 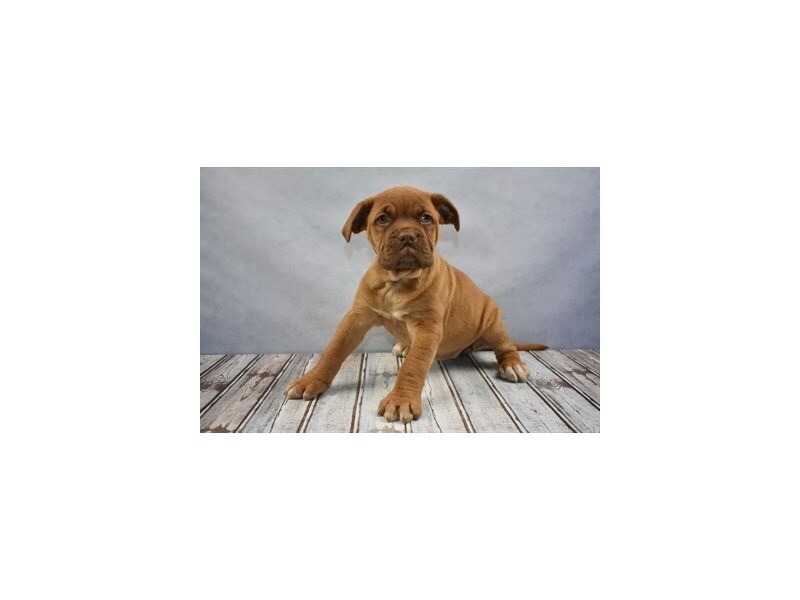 Americans became aware of the Dogue de Bordeaux when he appeared as drooling, messy “Hooch” in the 1989 Tom Hanks?۪ film,? ?Turner and Hooch. The breed?۪s short, fine coat is fawn-colored, ranging from a dark red to a light fawn. The Dogue de Bordeaux?۪s history is a mystery ??? different theories link him to the Bullmastiff, Bulldog, Tibetan Mastiff, and the ancient Dogues de Bordeuax of Aquitaine. 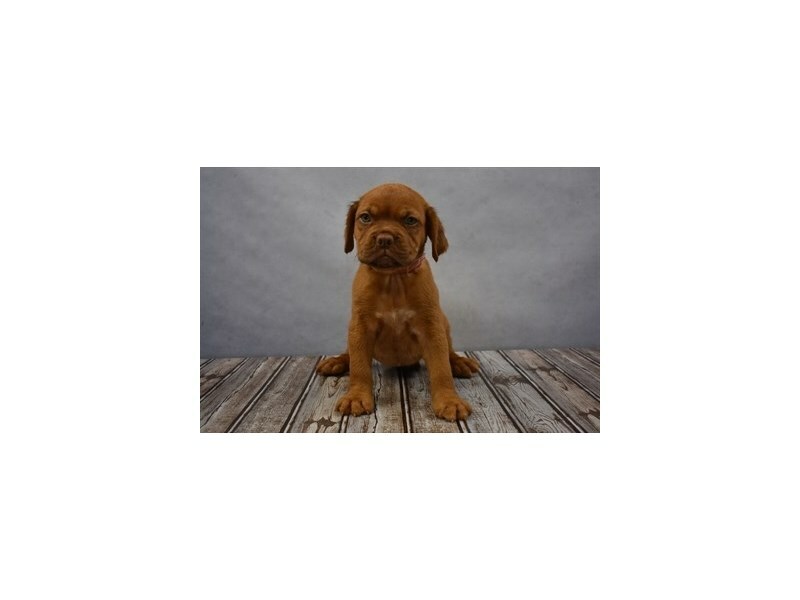 In any case, the Dogue de Bordeaux has been used as a guardian, hunter and fighter. They were trained to bait bulls, bears, and jaguars, hunt boars, herd cattle, and protect the homes and businesses of their masters. 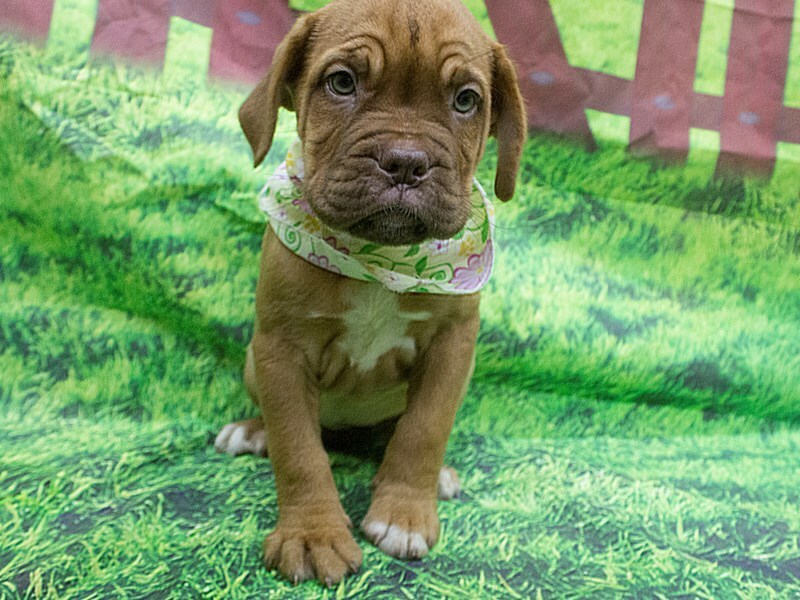 The Dogue de Bordeaux possesses an instinct for guarding, which he does with vigilance and courage, but without aggressiveness. He is an excellent companion ??? affectionate and attached to his family ??? with a patient, calm temperament. Their short coat is easy to care for and they require moderate daily exercise. New owners should be prepared to deal with drool!